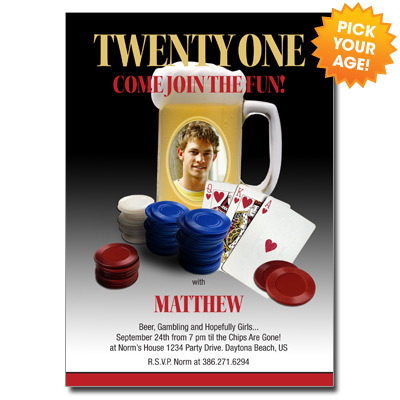 Poker chips, playing cards, and a mug of beer doubling as a picture frame give this card a whimsical edge. Customize party details in red, gold, and black against a gradient background and invite guests to come join the fun! Card measures 5x7.